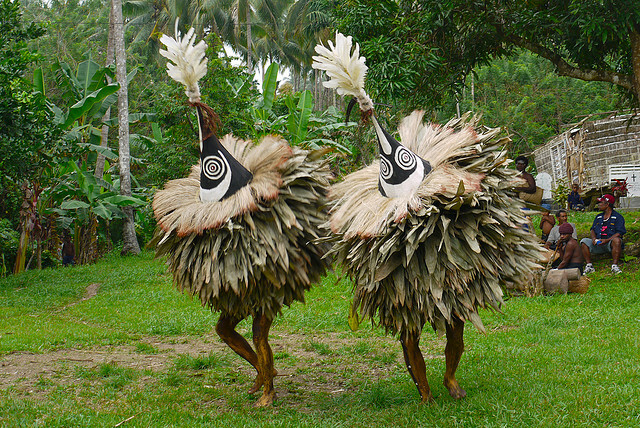 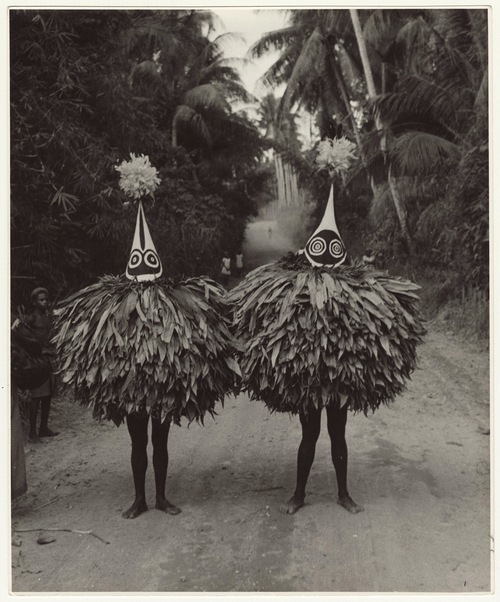 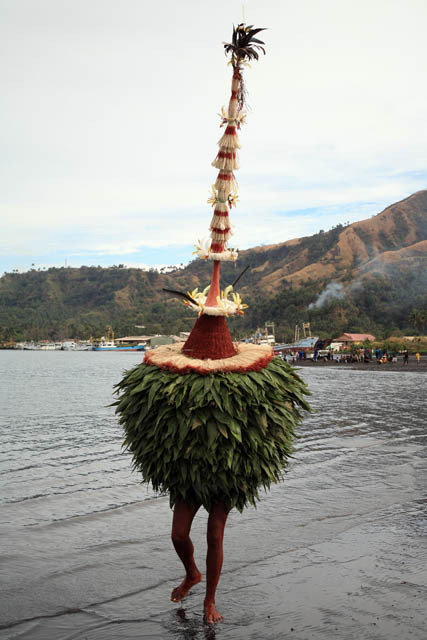 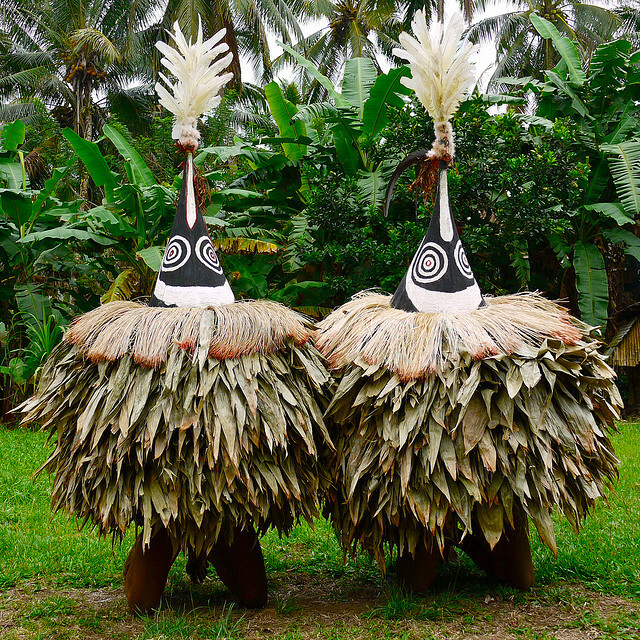 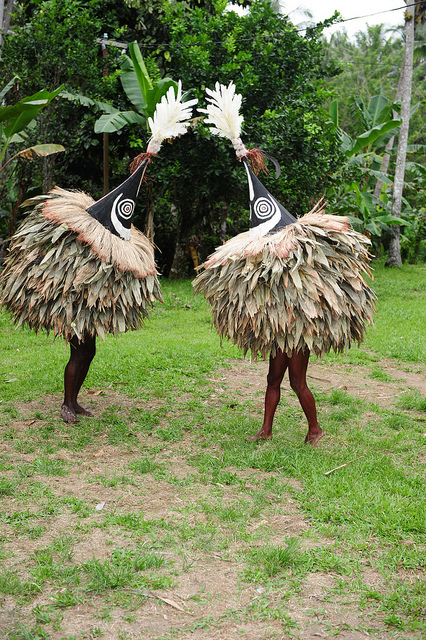 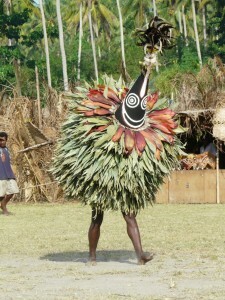 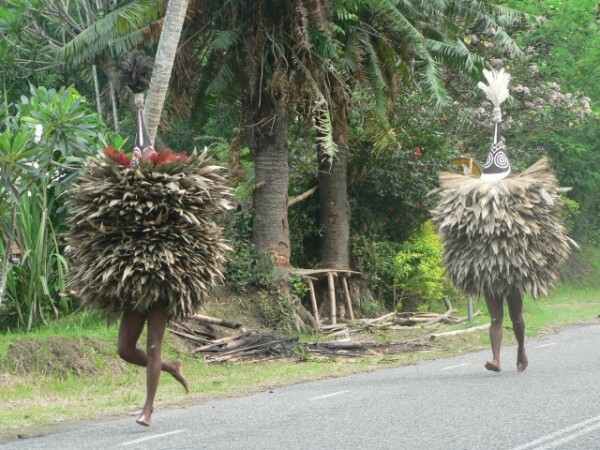 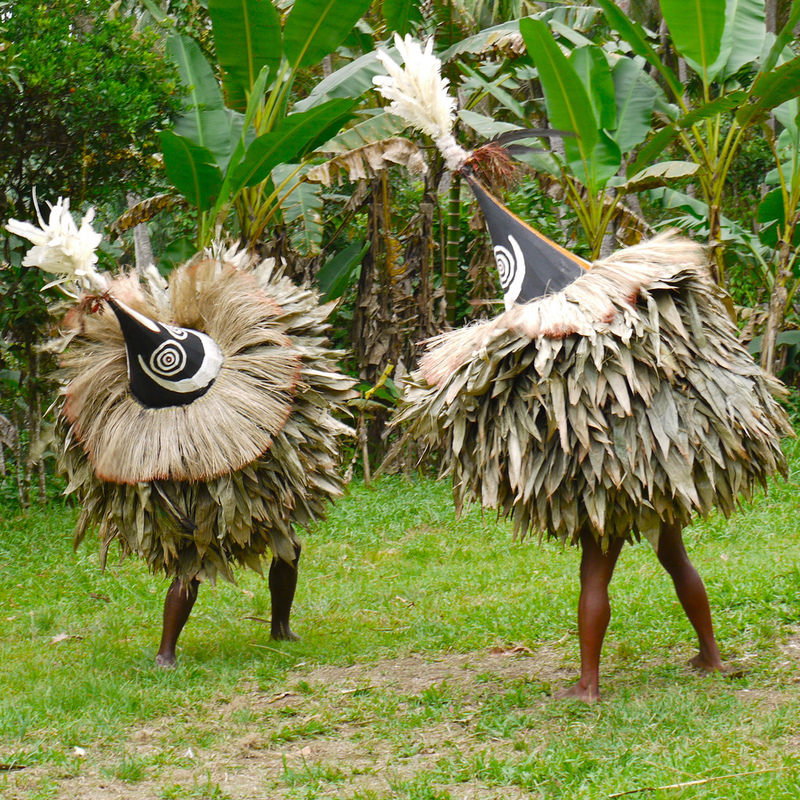 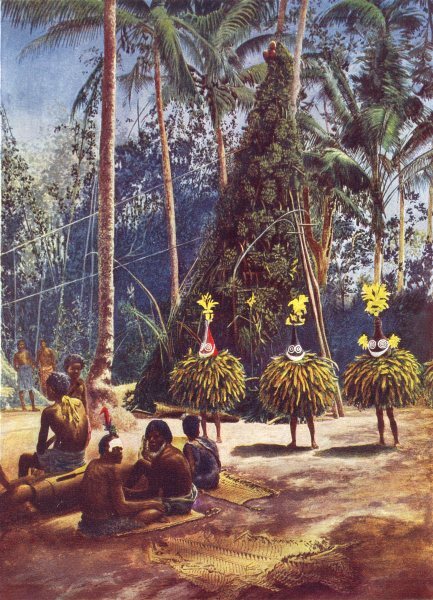 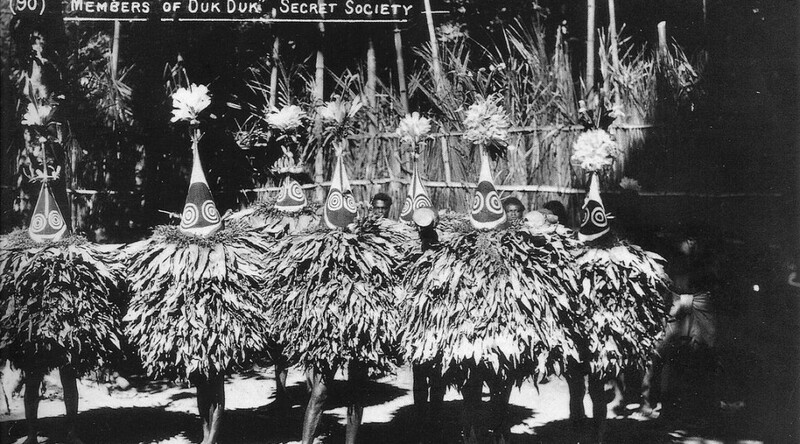 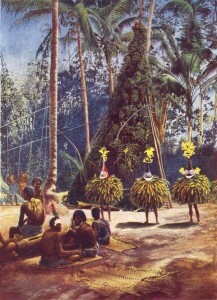 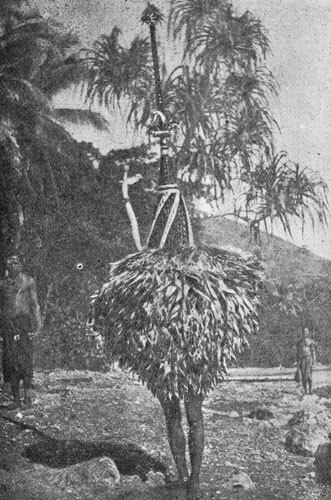 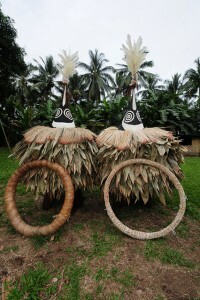 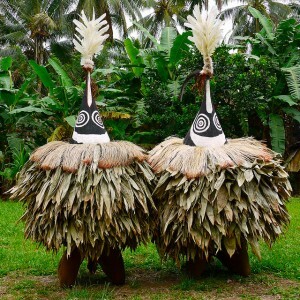 The French Douk-Douk knife is arguably much more famous than the Duk-Duk secret society of the South-Pacific Tolai people from which it derives its name. 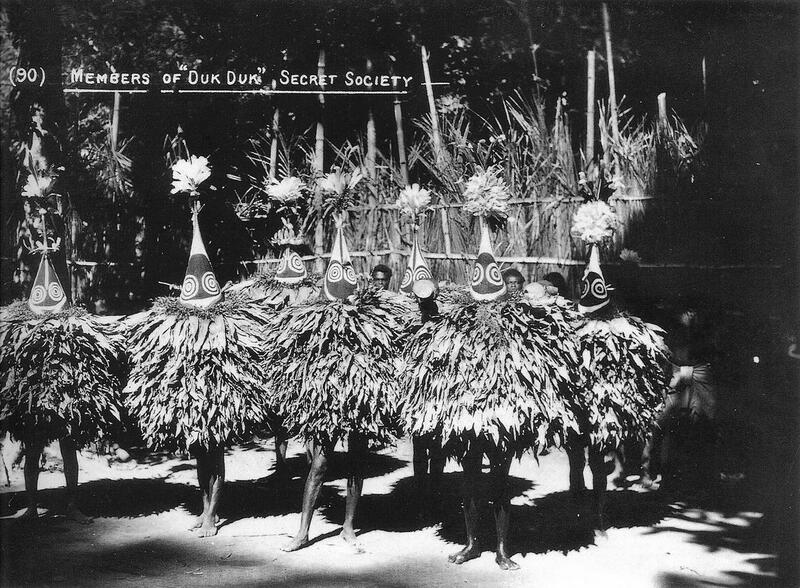 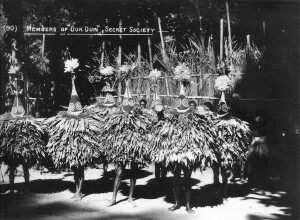 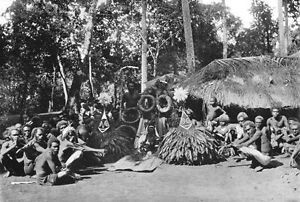 Photographs and drawings of actual Duk-Duk members (who acted as enforcers of tribal spiritual and civil order sometimes quite brutally) are scarce and difficult to track down amongst the throngs of images to be found of the knives that bear the name. 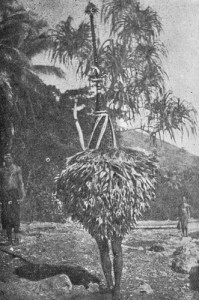 We’ve gathered a number of images and arranged them here for those curious in knowing more about the figure behind the iconic tool. We do not own any of these pictures. If you are the copyright holder of any of them and wish them to be removed, please let us know.